Spanish Formula 1 pilot Fernando Alonso had to abandon the Australia Grand Prix after what could have been a fatal crash. After 16 rounds, Alonso clipped the rear of Mexican driver Esteban Gutiérrez’s Hass at full speed while trying to pass him. Gutiérrez then stopped abruptly sending Alonso’s McLaren through a gravel trap, rolling into the air, before brutally crashing into the protective rails. Moments later, the Spanish pilot walked out seemingly unhurt and even nonchalant, although that was not how he felt at the time. 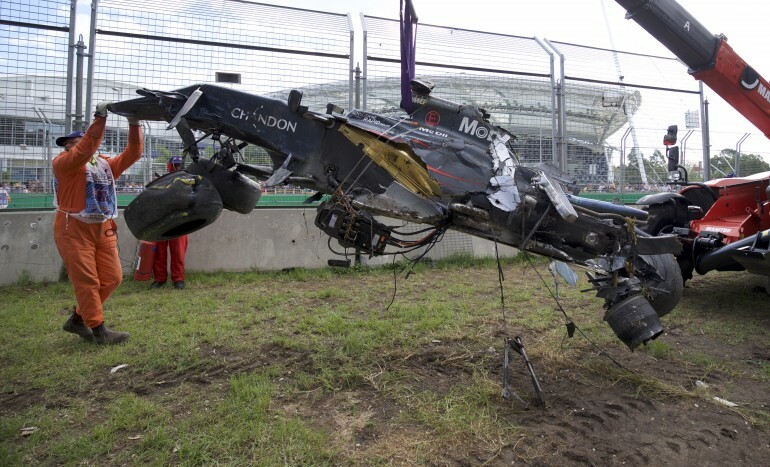 Alonso posted a photo of the crash site on Instagram and expressed he knows he is lucky to be alive: “I am aware that today I spent some of the luck remaining in life, I want to thank @mclaren, the FIA for the safety on this cars. Also my colleagues and fans for the concern and unconditional support. The accident obviously lost both Gutiérrez and Alonso the chance to win the at the GP, but the Mexican pilot expressed how grateful he was that they are both alive.